The existing structure was built in 1876, after the original was destroyed in the fire of 1875. 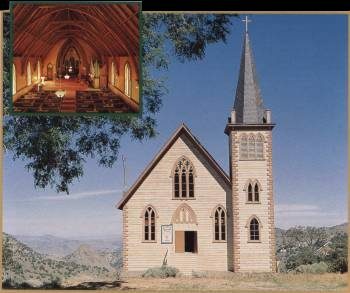 St. Paul's was established in 1871, and is the oldest of the denomination in Nevada. The interior is semi-gothic, with hand hewn pine beams and boasts a beautiful pipe organ.